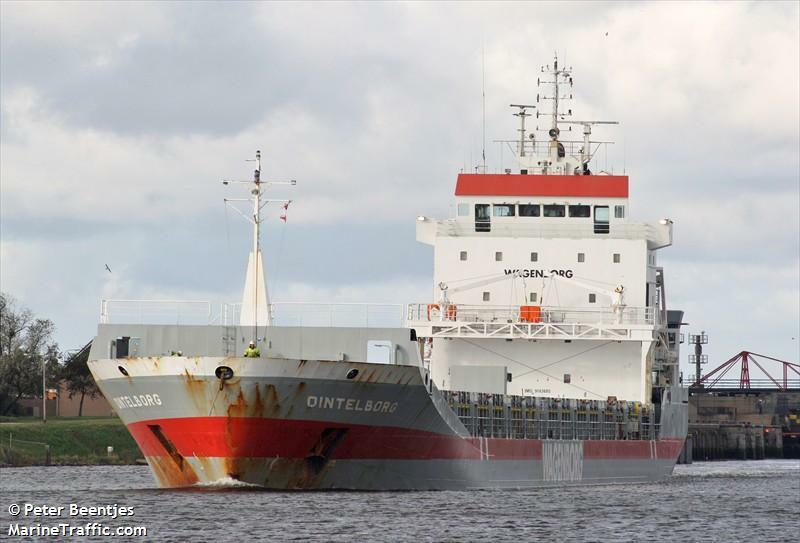 The 8867 dwt freighter Dintelborg became disabled off the coast of Cape Cod, Massachusetts after a fire on the bridge. The small fire was extinguished by the crew, but left the vessel without power and no communications. The vessel was adrift in 16-foot seas and 20 knot winds. A Coast Guard jayhawk helicopter was dispatched and was able to communicate with the vessel who were using a hand-held radio. The tug Rown Mcallister was sent to get the Dintelborg under tow to Providence, Rhode Island for repairs. No reports of injuries or pollution being released. The Coast Guard is investigating the cause of the fire.